a new product from the legendary music portable. Sony Walkman with Android OS & High Resolution Audio quality. There should be "Sony Xperia Z3 compact with better audio quality." Yep, you buy HTC M8 and you're nowhere near this Walkman. Higher resolution, new android version - it's like smaller Sony Xperia Z3 compact with worse audio quality. You think it'd sell if price were 300-400$? Funny, portable players are withdrawing because of junk (in audio aspect) smartphones. Please, tell me how would you convince people than smartphone for 600$ is not enough, you still need portable player for 400 $, which beats smartphone only in audio quality. Otherwise smartphone can do same things, mostly far better. Last one - you're not audiophile so don't try to comprehend them. And if you decide to, then at least try properly. They LOVE music, so for them it's not a problem to spend a lot of cash to buy audio gear. Take a look at (not really audiophile-like) head-fi.org - people buy expensive headphones (like ~1000$ for pair), because they spend cash for what they love. They are eager to spend some crazy cash for dac's, amplifiers, cables etc etc. Oh come on couldn't Sony put a 4.5 inch 1080p or 720p since this is an All-round media player? Couldn't they put a more recent version of Android ? YAWN! What a completely boring CES it's been, the worst to date. Now we have to wait for MWC and it's such a lond way away. asder, 09 Jan 2015Yep, you buy HTC M8 and you're nowhere near this Walkman. 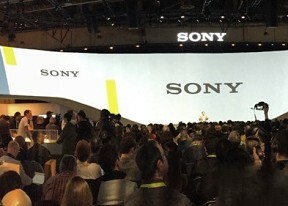 Higher resolution, new android vers... moreThere should be "Sony Xperia Z3 compact with better audio quality." AnonD-155275, 08 Jan 2015Still Even audiophiles would find this too expensive Oh come on couldn't Sony put a 4.5 inc... moreYep, you buy HTC M8 and you're nowhere near this Walkman. Dell tablet is pretty. Too bad my country isn't on the list. The Sony Walkman turned out to be absolute rubbish. Initially I was excited as I thought it was an inexpensive music player with amazing battery life, turns out it's an overpriced piece of crap. As a Sony fan I'm really dissapointed. how i wish, the beautiful walkman support phone call,please sony bring back walkman phone again.